First wallpaper I made, so critique and comments are appreciated. Jigoku Shoujo © Studio Deen. Browse Jigoku Shoujo Gallery: Recent | Popular. 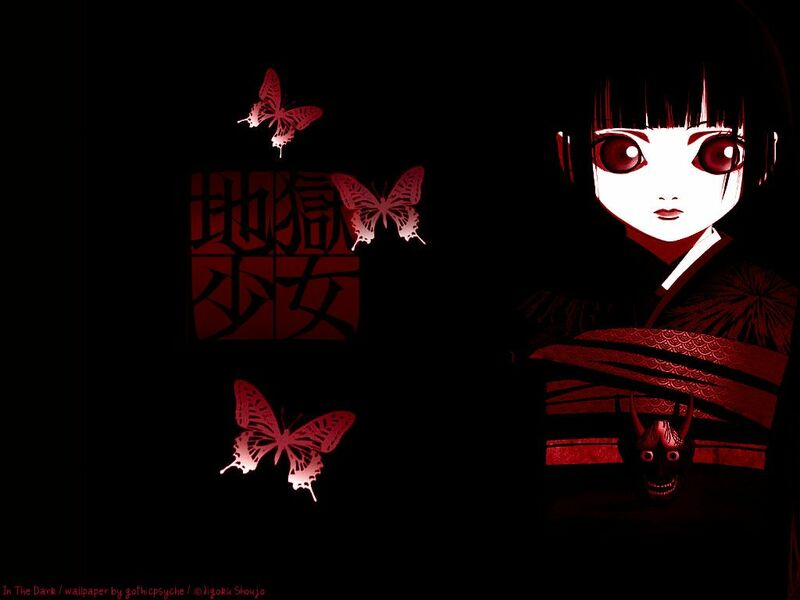 liked the butterflies .nice shade of background, and......wth ?why is enma ai's eyes so big ? is it just me or...? The butterflies, it remind me of fatal frame 2.